Swap out toxic dryer sheets with 100% natural wood dryer balls with this cheap deal on Amazon! Get a 6 pack of these highly rated wood dryer balls for just $7.99! These dryer balls reduce wrinkles and dryer time. They also act as a fabric softener. 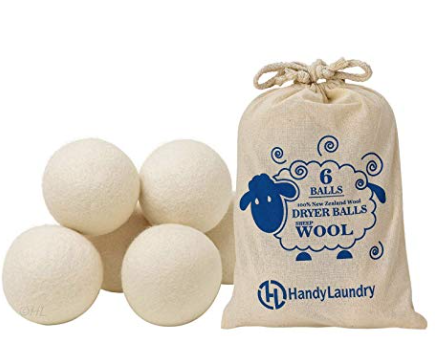 You can also get a 12 pack of these wool dryer balls for $13.99! I was at Walmart the other day and they had a 2-pack of wool dryer balls priced at $4.98, so this is an awesome price for a 6 pack!